Here we are for Part 2 of our Citrix Endpoint Management and Android Enterprise series. As I mentioned in our earlier post, Google announced device admin deprecation from its 2019 Android release. As an alternative, Google has provided newer, better, and more secure built-in deployment modes – work profile, fully managed and dedicated device. In this post, we will deep dive into work profile mode and understand its use and its advantages. 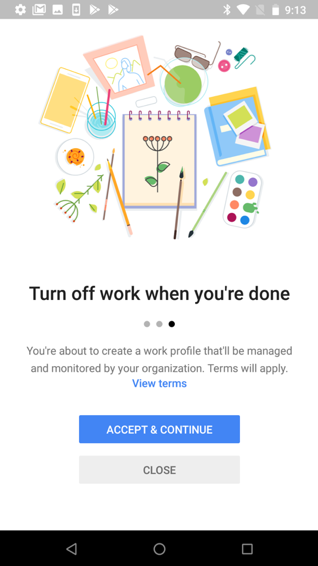 So, what is an Android work profile? An Android work profile is best suited for bring-your-own (BYO) device scenarios. When you want to use your personal device for work-related matters, you need to be sure that the IT administrator does not have access to your personal applications and data and that these are kept private to you. A work profile provides the solution for separating personal applications and data for user-owned devices. It gives you the ability to access your work data and apps securely on the same device. IT administrators are allowed to deliver corporate apps, data and management profiles to a self-contained work profile on your device, thereby separating the work-related data and the personal data while maintaining user privacy. 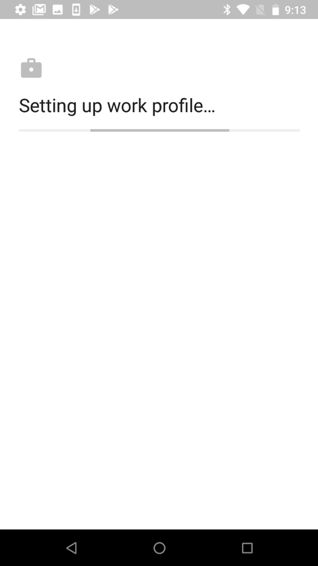 When a user’s Android device is enrolled into Citrix Endpoint Management using the Citrix Secure Hub app, an Android Enterprise work profile container is created on the user’s device. The IT admin can configure management policies, work applications in Citrix Endpoint Management console and then deliver them to the work profile container created on the device. These management policies and work apps are confined to the container only. Once the user accepts the terms and continues to finish the setup, Citrix Endpoint Management delivers the work apps to the profile container through a managed Google Play. 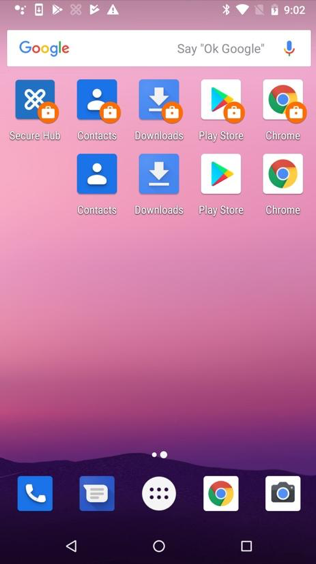 Work apps are delivered from a managed Google Play store and are badged with a briefcase icon for the users to distinguish the work apps from their personal apps. First, your IT administrator will not have access to any of your personal information like your photos or files, nor would the admin know what personal apps are running on your device. Second, since the management is confined to the data and apps inside the container, your IT admin has no way to take invasive device actions such as deleting personal apps or factory resetting the device. Delivering application restrictions and permissions to the managed apps. Send notifications to your users to enroll their Android devices again through Citrix Secure Hub app using their preferred enrollment authentication. Once the devices are enrolled again, they will be in work profile mode and both the IT admin and the end-users can reap the full benefits of it. In the upcoming Part 3 of the series, we will look into Android fully managed mode and how to deploy it through Citrix Endpoint Management.